Walk past 9 Keong Saik Road, and you may notice that a new facade has adorned Meta’s previous space (don’t fret; it has simply moved down a few metres). Those are big shoes to fill but there’s no apprehension to be met here as Thevar has now settled into its home. 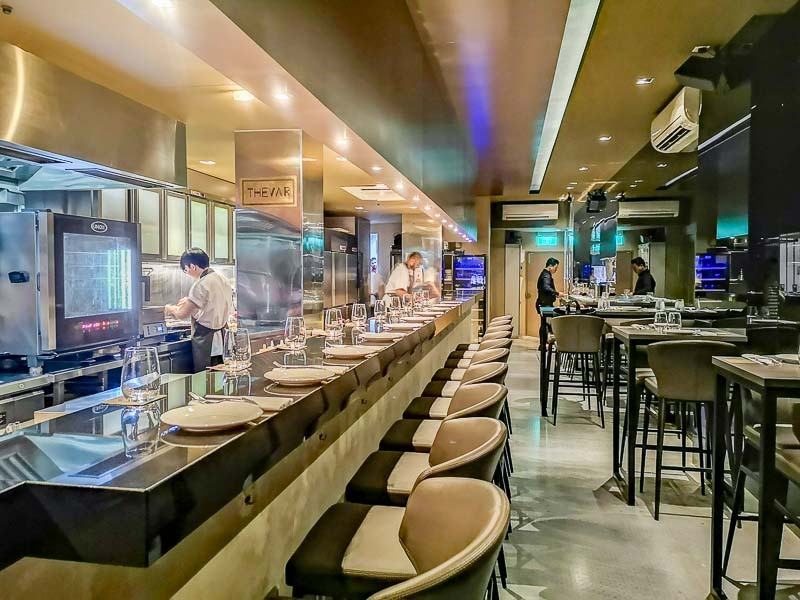 Chef Manogren Murugan Thevar from Penang reigns the kitchen and wants us to have a taste of the massive potential of what Indian cuisine has to offer locals beyond thosai and butter chicken. Don’t expect grandma’s recipes; his interpretation is experimental, modern and at the very least, unexpected. 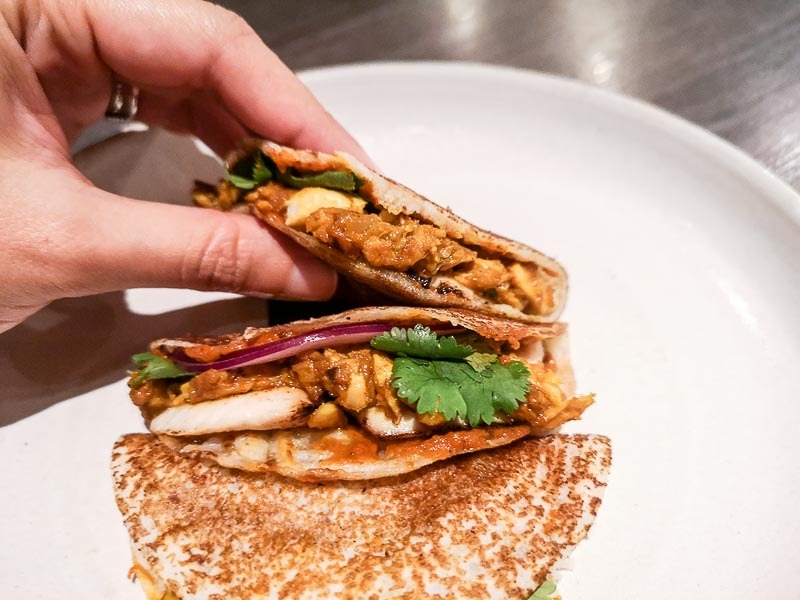 The space is narrow and long as you walk in, and having the kitchen completely exposed to diners not only opens up the place but also feels like a metaphor for breaking down barriers of stereotype when consuming Indian cuisine. Oysters are traditionally enjoyed with very little — only a spritz of lemon and perhaps a dash of hot sauce. 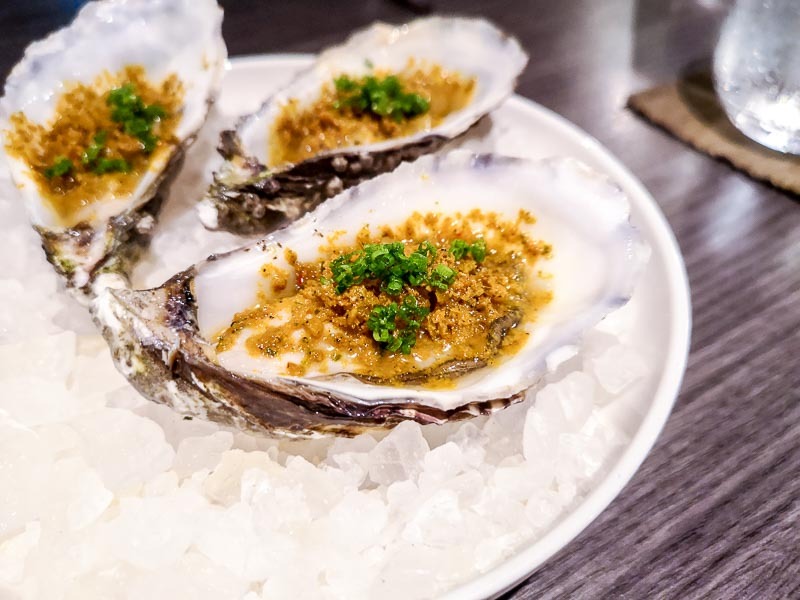 Here, it’s a flavour powerhouse with Irish Oyster, Rasam Granita (S$6 for a single piece, S$32 for half dozen). You’d think that with such a potent spiced ice topping, it’d outshine the delicate oyster. The brininess and measured sweetness still managed to blossom on the palate, and what’s better is that it made me even hungrier than I was already, and eager to taste every single course. 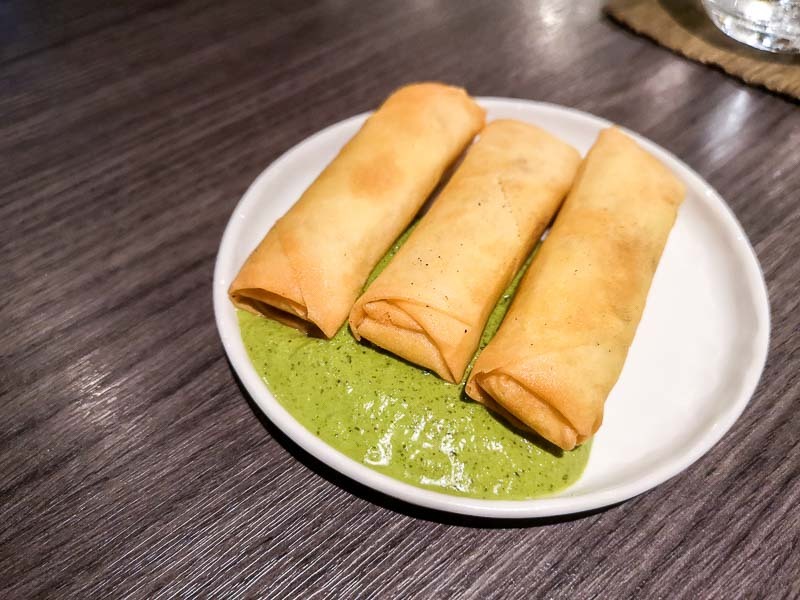 These may look like innocent spring rolls, but one bite into them and you’ll know the Mutton Kheema Roll, Min Sauce (S$8) is anything but simple. The mutton was aromatic and spicy — and I mean not with chilli, but with spices and herbs that really brought out the wonderful gameyness of mutton. I understand that there are many who avoid mutton and lamb particularly due to its offputting scent. 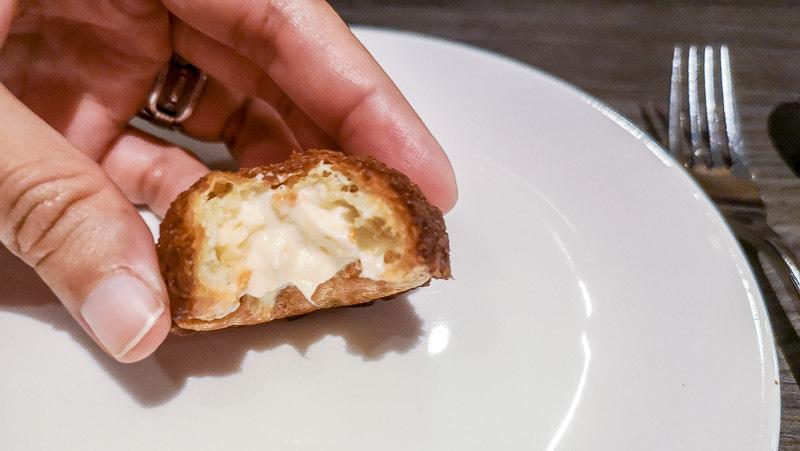 However, when paired with the house-made mint sauce (that was subtly smoky and minty at the same time), I only wished I could have a basket full of these crispy babies all evening. 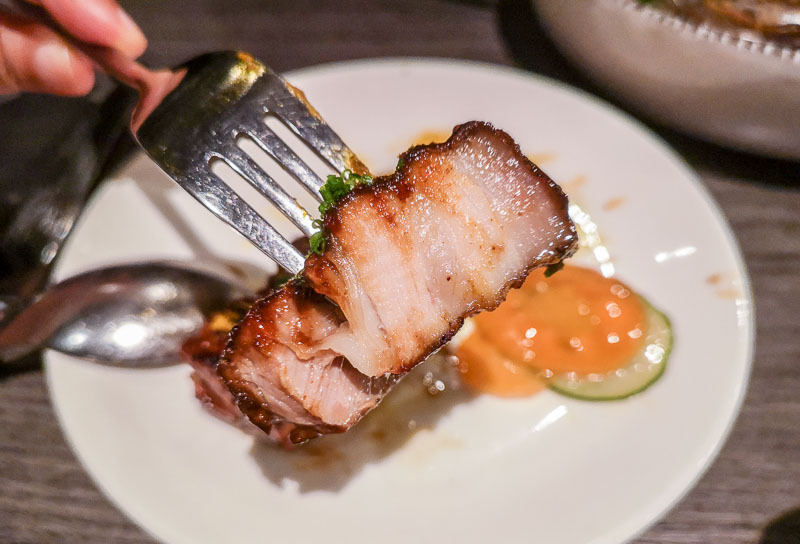 I had the pleasure of being introduced to a novel way of enjoying crispy pork belly. 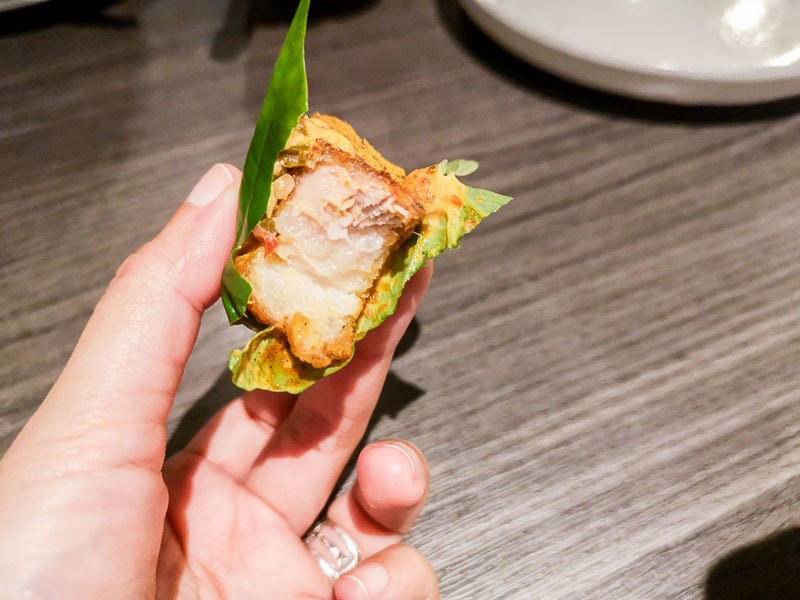 The Crispy Pork, Sambal Aioli (S$14) came wrapped in betel leaf after being brined for a day, and slow-cooked for three hours. 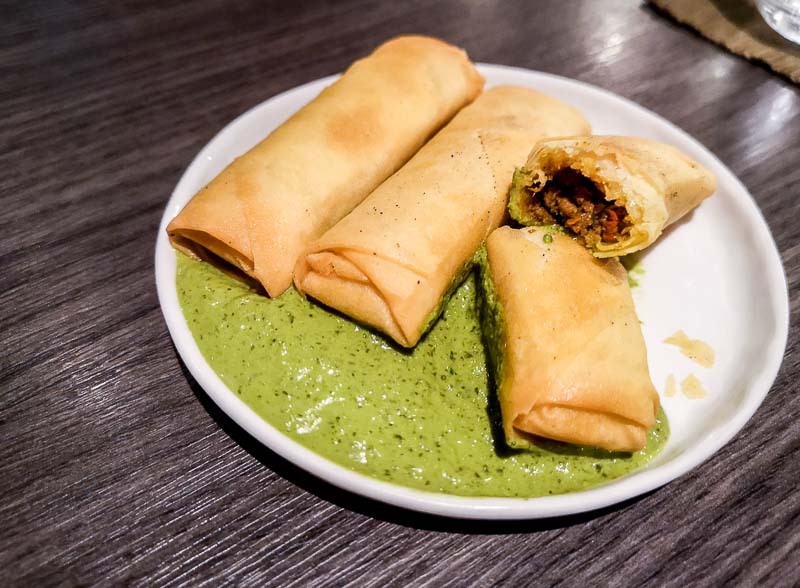 Lastly, it was deep-fried with sambar (a South Indian lentil-based stew) spices, which gave it an undeniable smokiness that came with an incredible crunch. The outside was fried to a delicate crisp while the flesh inside melted effortlessly when I chewed into it. 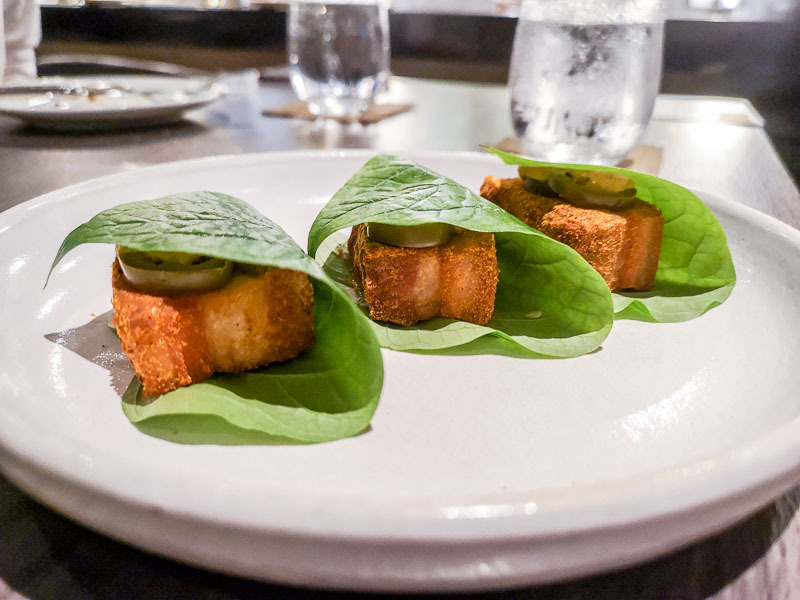 The leaf contributed a clean, grassy taste to the rich savouriness of the pork, and very quickly, it was undeniable that I would return here — even if it was just to be able to savour this again. 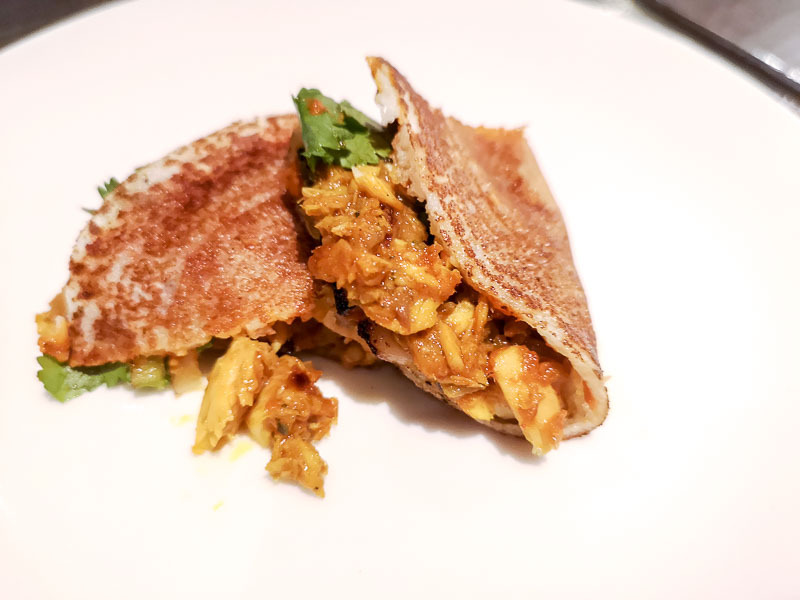 I for one have never come across a thosai quite like this Mackerel Dosai, Tomato Chutney (S$14). Thin and soft, with a tangy tomato chutney smeared all over the flaky mackerel, it was a delicate carry from plate to mouth, as I wanted to be able to ensure I had every element of the dish in my first bite. It may seem small for a single portion, but the flavours and mouthfeel were incredibly gratifying. I simply couldn’t shake off how a dainty-looking dish could pack so much intensity, especially considering a fine protein like mackerel is used. I absolutely love garlic naan, especially when it’s served smokin’ hot from the oven. 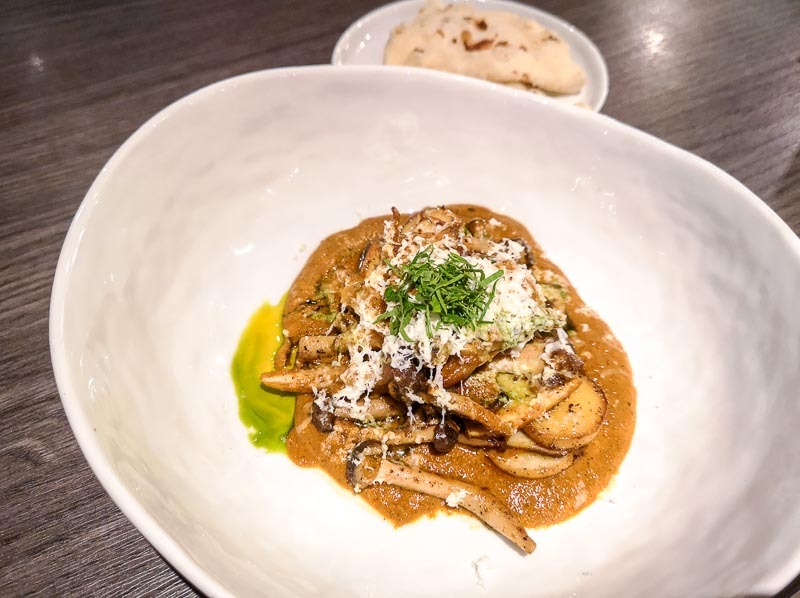 The Butter Mushroom Naan, Paneer Cheese (S$16) was an earthy melt of smoky char and silky butter. The paneer cheese melded the dish together to create a very comforting and familiar favourite. 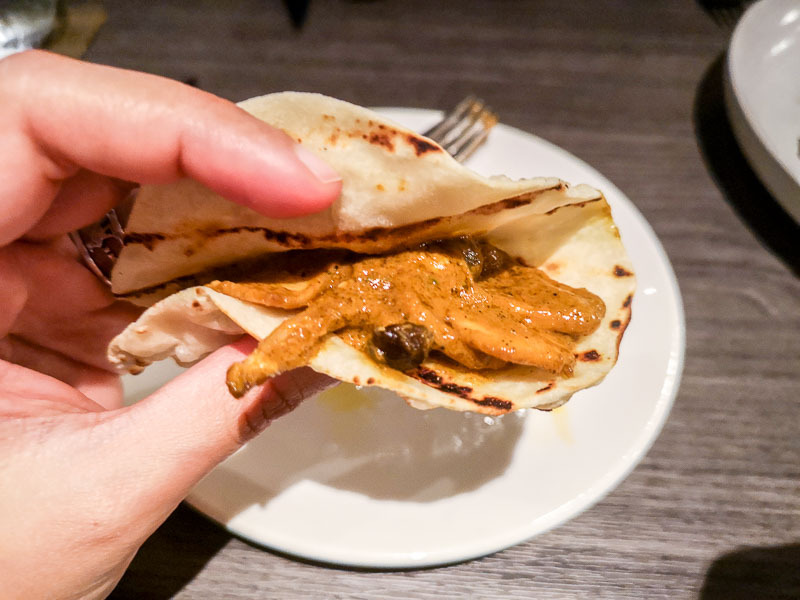 I appreciated that the naan wasn’t overly thick, allowing me room to enjoy the other dishes to come and also not create a feeling of gluttony by the time I polished off the dish. Pork isn’t a protein you get greeted by often in Indian cuisine, so having it cooked with traditional spices was a novel experience in itself. 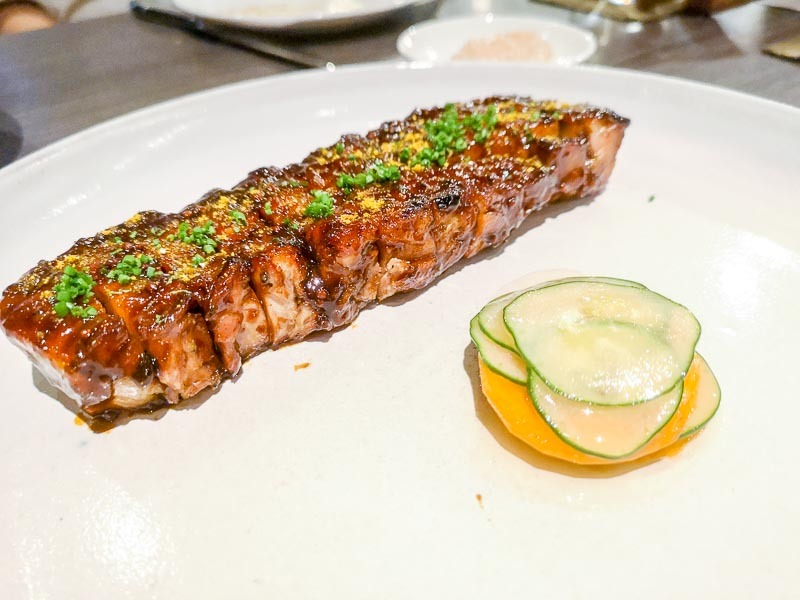 The Pork Belly, Medjool Dates, Carrot & Cucumber Pickles (S$38) arrived with a train of thick and succulent pork belly slices that were addictively sweet and piquant. The glistening layers of fat that interlaced in between the flesh was undeniably soft and chewy, while the natural sweetness of the dates gave the dish a sweetness that went beyond just sweet. It was almost toffee-like, and left an impressionable memory on me. Missing your carbs? The Berry Pulao, Cucumber & Raisin Raita (S$12) was akin to a fruity biryani, complete with chewy and nutty bits thrown in. The textural contrast here was unbelievably addictive, making me want to pair every dish on the table with this rice dish. 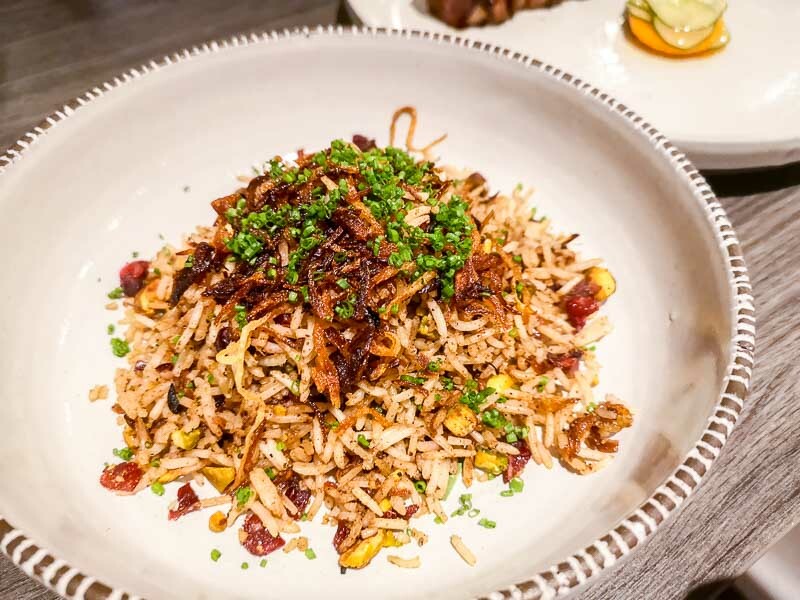 It was a party of earthy, sweet and savoury flavours, and the best part is the use of basmati rice, so I didn’t feel sickly stuffed even after wolfing down the entire plate! Their Cempedak Puff (S$6) is a must-eat once you’re done having your fill of mains. 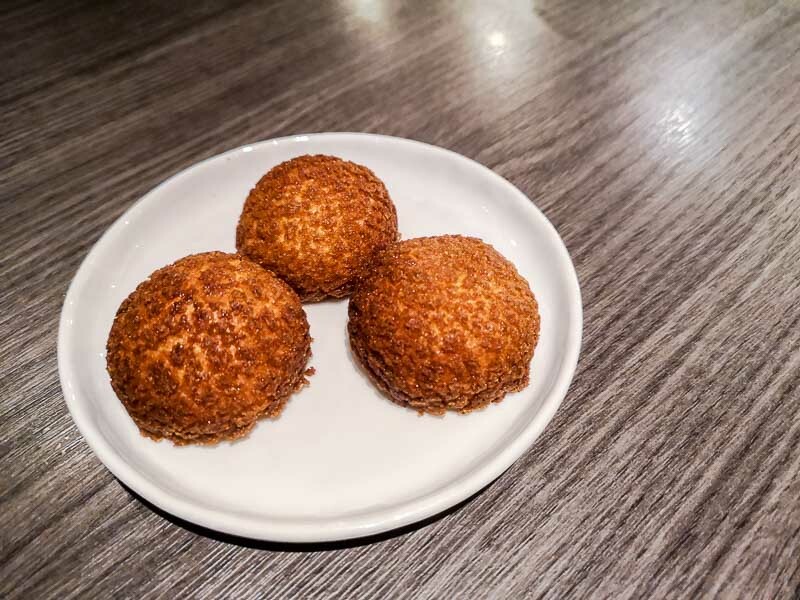 They may be small (no bigger than the size of your palm, actually), but be sure to savour these tiny pebble-shaped domes filled with cempedak mousse slowly. The outside crust tasted like baked cookies and was successfully crumbly and sweet. The cempedak mousse within was incredibly fragrant and I only wish I could have an entire bowl of it to myself, armed with a serving spoon. The last plate I had for the evening was the Banana & Coconut Ice Cream, Rum & Pineapple (S$12). Think of yourself on a tropical getaway, on one of the whitest sandy beaches imaginable, and that is what this is where this dessert will transport you. The complementary flavours of banana and coconut made the dessert both smoky and sweet. 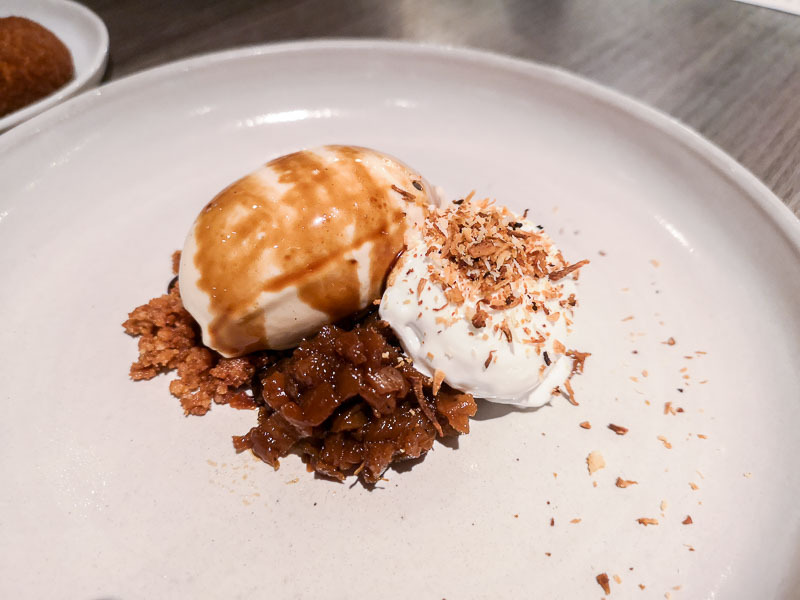 The coconut’s slight crunch also contrasted beautifully with the silky ice cream. All in all, a great way to close off a noteworthy dinner. 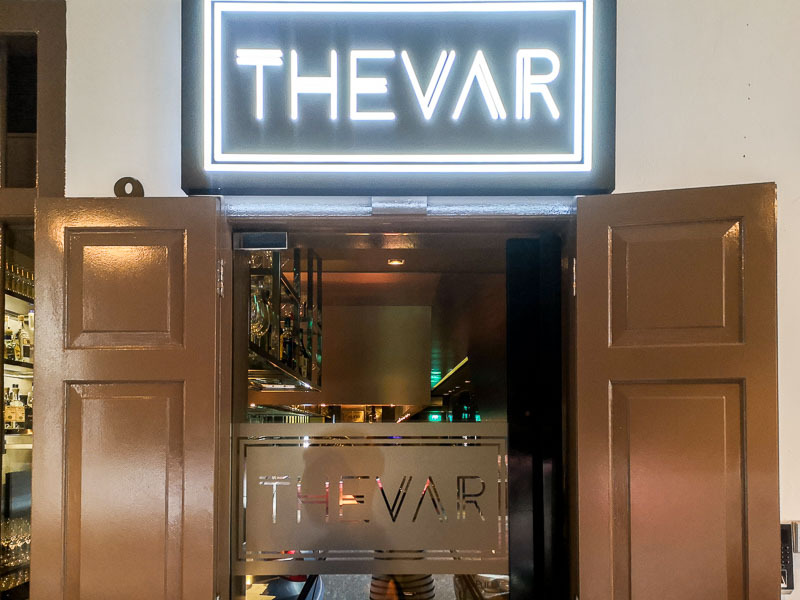 I had heard so much fanfare from Thevar’s opening, so I held quite a bit of expectation coming into this dinner. It didn’t disappoint at all, and I foresee myself returning with adventurous palates to have a taste of the highlights of this meal once again, especially their pork-based dishes.